The thing I love most about this jacket, is that the armour sticks to the parts of your body that they're meant to protect whilst you're moving around freely. I've never owned any jacket that makes it feel as though the elbow armour is glue to your elbow, as you move your arms in any direction. The armour doesn't slip out of the pouches either. The next and most important thing about the jacket that I love, is its ability to keep you warm in -0 conditions and somehow keep you cool and moisture free as you walk around the house getting ready. Delivery was prompt, and when I contacted sports bike shop to exchange the item, they were very supportive and willing to honour the gift card that I'd used to purchase the clothes. Micro Velcro zip overlay seal that resists snagging. 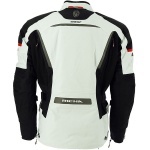 Richa has developed this jacket to be able to tackle the four main elements that effect riding - Water, wind, sun and frost, ultimately meaning this jacket is the only one you will ever need to stay comfortable and in-control. At the heart of this jacket lies the revolutionary Gore-Tex liner, the only system in the world that is guaranteed to be 100% waterproof and breathable, the jacket features an abundance of adjustments for an optimum fit while protection is provided by the highly-flexible and protective D3O armour. This jacket will keep you cool in the summer and warm in the winter, without ever breaking a sweat. Ideal for long-range touring, or even commuting. 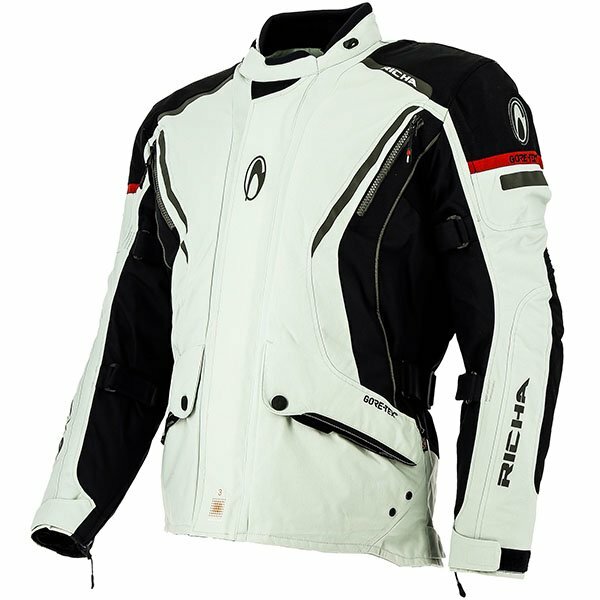 As a range, Richa motorcycle clothing has it covered with an extensive collection of both textile and leather garments to suit all types of rider. The brand consistently delivers both quality and style, without a hefty price tag attached. With over 10 years experience of producing product without compromise, Richa will undoubtedly continue to grow, particularly as it's range is constantly evolving to take the latest biking trends into account. 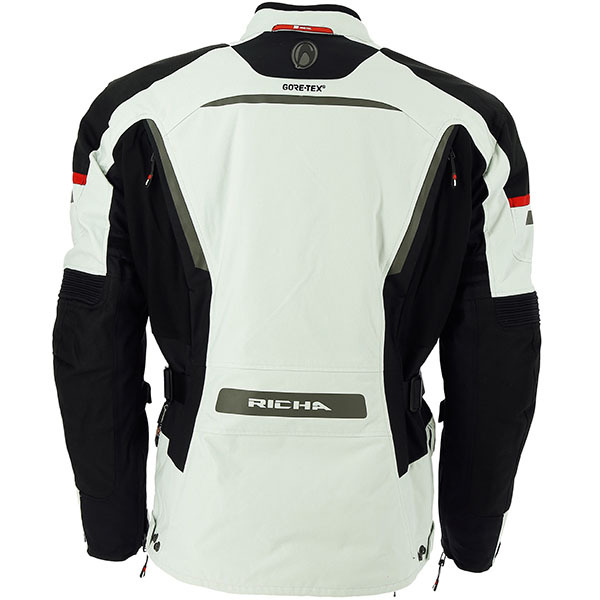 As one of UK's most popular brands, you'll always find us featuring the entire Richa motorcycle clothing range particularly as it achieves one of our highest levels of customer satisfaction, just check out the reviews!